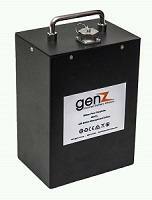 genZ smart powerpacks – the smart generation of energy storage – are based on lithium ferro phosphate (LFP or LiFePO4) battery chemistry and have been developed by us to allow for safer and greater performance from stored energy systems, replacing the traditional lead acid technology. A smart battery management system (BMS) is built into every powerpack, allowing for easier recharge and up to 100% depth of discharge for every cycle. The BMS will always protect the cells which is great for constant demand from vital systems. The BMS protects the battery from irregular charge feed and over voltage/over current events making it ideal for solar PV designs. The BMS also monitors internal cell temperature. Click here to visit genZ website. 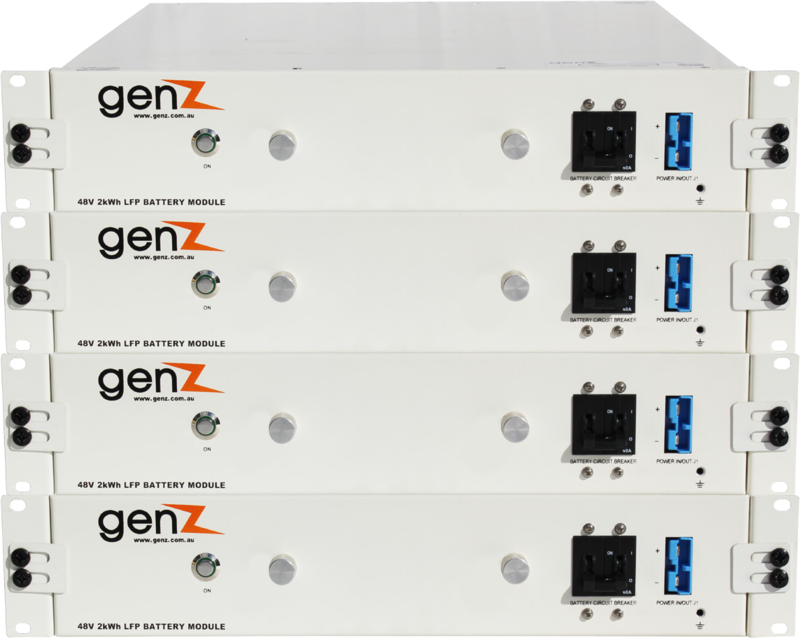 We stock a range of different voltage, amperage and case sizes including scalable 19” rack mounted units. Thesis entitled “Investigation of Lithium Iron Phosphate Battery Technology and Performance in WA Conditions” submitted by David O’Brien to University of WA for the award of Master of Professional Engineering degree (2015).